'I am a servant of the soil,' admits Saint-Émilion vigneron Pierre Seillan. This morning, he was up before 6am, same as every day and, some nights, he’s still thinking about his vines at 2am. It’s a hard life, a long way removed from the sometimes glossy image of M. Seillan to be found in the pages of the international wine press, where he’s known as a world-class vigneron, a man who can glance at a row of quietly ageing barrels and work out the perfect mix. The vineyards of Saint-Émilion form one of the more lovely parts of Bordeaux, which comprises some 50 distinct appellations that are legally allowed to bear the Bordeaux name. A collection of relatively small wine-growing estates radiating from Saint-Émilion itself, the area is also home to some of the world’s most acclaimed wines and, naturally, M. Seillan has an eye on being among them. 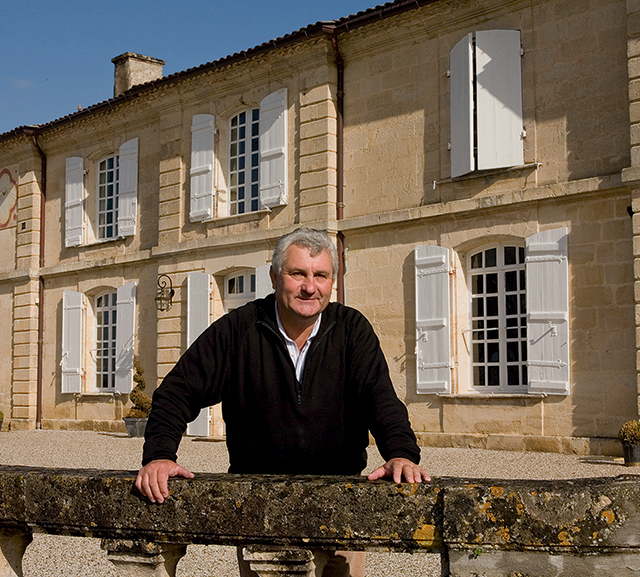 Pierre Seillan believes that a good vintage starts in the vineyard. Born and raised not far from Saint-Émilion in a farming family, M. Seillan has been working in vineyards since he was 16. At Château Las-sègue, a typical day is determined by the weather. It involves admin, regular communication with the small team who work on the estate, an eagle-eyed look to check the pruning of his vines, usually a barrel tasting and then, as his colleagues head home for the night, a new burst of acti-vity as his associates in California wake up. M. Seillan’s long-standing relationship with the Jackson family means he’s also heavily involved in several of their estates, from Tuscany to California, including the prestigious Vérité, which recently chalked up an historic Sonoma County first when seven of the vineyard’s wines were awarded the maximum 100 points by the industry’s leading critic Robert Parker Jr. The Jackson family and M. Seillan seem a match made in wine heaven, as the former’s commitment to long-term sustainability of the land and their passion for making wines that are individual expressions of their terroir are in tune with M. Seillan’s own philosophy. He sees vineyards not as single entities, but as multiple individual parcels of land and expands on the idea while drawing in pen on the back of an envelope. When I next catch up with M. Seillan, he’s in a good position to assess what a less-than-sparkling summer has done to his 2014 crop and is in a philosophical mood. ‘It is a surprising vintage. Blooming started in June and was fast and even a good sign and then July and August were humid, rather than warm. Around August 15 in Bordeaux, we were all nervous.’ With limited options available, he decided to concentrate on canopy management: manipulating the visible vine (as opposed to its roots) with techniques such as leaf pulling in order to make the most of the challenging weather.